The bad news will be delivered as early as tomorrow, with FFA no longer interested in having a Gold Coast team in the A-League, preferring to rush in a western Sydney franchise to ensure the competition remains at 10 clubs next season. FFA propped up Gold Coast until last Sunday's end of the regular season after stripping mining magnate Palmer of United's A-League licence on February 29 for breaching the club participation agreement. Palmer has vowed to sue FFA for $20 million in damages unless he is handed back United's licence, but this will not stop the sport's national governing body from dumping a second Queensland club in the space of 12 months after discarding North Queensland Fury from the competition in March last year. "We'll never know what that club (Gold Coast) could have amounted to," an FFA spokesman said. "The club was never given a chance because of the way it was run by him (Palmer). "It was never our intention to only have one club in Queensland when we added North Queensland and Gold Coast to the competition three years ago." A consortium headed by Gold Coast mayoral candidate Tom Tate and steered by entrepreneur Geoffrey Schuhkraft say they are still waiting for exact FFA guidelines as to what's required to save the club apart from an unrealistic verbal demand of a guaranteed $5 million in backing by next week. Schuhkraft said transparency was required and that the consortium needed to be told by FFA if they were wasting their time in trying to keep a Gold Coast team in the A-League. "I'm sure that the Queensland football community will not entertain or tolerate the thought of the Gold Coast franchise being sacrificed to facilitate another New South Wales franchise being located in western Sydney," Schuhkraft said. "That would deliver four A-League franchises in NSW and only one in Queensland, despite Queensland being the second largest area of participation in the sport (in Australia). "Hasn't it always been the desire and plans to spread and grow the sport into a truly national league?" EVER since mining magnate Clive Palmer had his Football Federation licence torn up, there has been speculation whether or not a western Sydney team could enter the A-league. 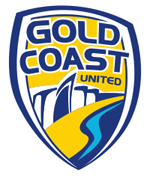 Palmer, owner of Gold Coast United, was told his team would not be eligible to compete in Australia's top-tier football league next season â€” opening the door for another team to fill the void. That team could be based in western Sydney. Football NSW CEO Eddie Moore said the numbers suggested the team would be a success. "Sydney's west has a huge football playing and fan base so having a team there would be fantastic for the community," Moore said. "In 2011, Football NSW had 171,892 players registered and one third were from western Sydney. "This itself poses huge potential for the game to grow further. From what I understand the area is a huge catchment for players and fans. The surface here is of international class and we have a 20,000 person capacity. A-League numbers can fluctuate but if you get a crowd of under 10,000 here, it is still a great atmosphere. We were involved with the previous bid but we haven't been contacted recently." In 2009, the FFA granted a licence to the Sydney Rovers to enter the A-League in the 2011-2012 season. The team was to represent the west of Sydney including Parramatta, Blacktown and Campbelltown. Less than a year later the team folded. Parramatta Stadium was considered one of two possible home venues. Ex-socceroo Charlie Yankos was a partner in the Rovers consortium. He said the region is still capable to host a team. "It is pretty logical really," he said. "It [western Sydney] has been thought about for a long time. If the FFA approved it, I have no doubt it would be embraced by the community. There are currently only nine teams eligible for the 2012-2013 season. Frank Lowy told Fox Sports on Tuesday that: "The question with western suburbs is can we field a team for this October?" It's probably an ex West stander, afraid he might fry if the sun rays hit him.